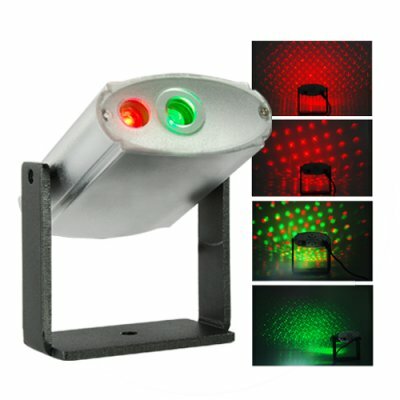 Successfully Added Laser Effects Projector With Red And Green Lights to your Shopping Cart. Laser Effects Projector With Red And Green Lights for projecting visually interesting patterns of colored light onto walls, floors or ceilings. This laser color changing projector is perfect for any retail store or partying environment. It works by projecting red and green laser beams, in either a still image or moving patterned images. You can mount the projector anywhere that suits your needs and it is adjustable to easily be aimed at the area you wish to highlight, whether it is the wall, ceiling or floor. Do you own a local pub or bar? Then this Laser Effects Projector With Red And Green Lights will make a great addition to your interior decorations and increase your pubs image. It is also a great tool for increasing customer interest in small retail shops. Best yet, if you are throwing a house party, rave or any other kind of activity then this product will provide the ultimate environment for having a good time. With an adjustable bracket suitable to allow installation on walls, ceilings and floors, this is perfect for installation in any indoor environment. It is good as a year round mood light and is especially useful at Christmas time. In stock right now at the usual low Chinavasion wholesale price. Very cool Red and Green laser Starry Effects Projector. Mounting bracket with adjustable angle, and dial effects control. The adjustable speed rate control is located at the back of the unit. With just a simple turn of the dial, you can change the effects from still to moving at ever increasing speeds. Does the CVGF-G25 comes with a remote control? The laser projector can only be controlled with a dial switch located at the back. what distance can the lasers project out? The laser starry effects project can reach up to 20+ meters. What is the maximum coverage area for the laser projector? Depending on the distant of the effects projection, it can spread the image to up to 50sq/m area. I purchased this unit along with a CVLC-G131. This unit is very complimentary to the latter in that it has an efect not unlike the later. I found this unit to be complimentary as it projects a circular pattern and the speed can be adjusted. Great for say a dance floor where the unit projects directly down. Distance was not a problem so say from a hieght of 8ft you can expect aprox a 10 to 12 ft display. This unit is not automatic but the speed control makes up for that. Again I say complimentary, and would highly recomend this unit. Thanks again Chinavasion, great product and great service. on 2009-12-26 10:11:50 dance floor! lovely dance floor effect! every party should have a effect like this on the dance floor!